ANEW’s purpose is to assist the advancement of women to equal participation in business, industry, and the professions, to foster a favorable climate for women entrepreneurs, and to encourage women to assume greater leadership roles within the business community. Members are also urged to connect with fellow ANEW members as resources for career information and professional development, as well as becoming mutual advocates for one another’s success within the community. A Network of Evansville Women began in November of 1980 when Nan Francis and Sylvia Neff Weinzapfel discussed the idea of a professional women’s network. They decided to pursue what they agreed was an intriguing idea when Nan, a Clinical Research Associate for Mead Johnson, returned to Evansville from Detroit in January 1981. Sylvia, then Assistant Director of Continuing Education for Indiana State University-Evansville, knew of the university’s interest in and support of programs for women. The Office of Continuing Education agreed to finance the launching of a professional women’s network, to contribute clerical support, and to give Sylvia release time to coordinate the network. Several women, representing a variety of professions, were invited to a luncheon meeting to discuss the idea of forming a network for career-oriented women. Those attending that first luncheon meeting on February 19, 1981 included Margo Brown, Pat Carr, Tonya Goodman, Martha Julian, Joyse Rivers, Mable Shelley, Nancy Stephens Byrd, Carole Utley, Kit VanOst, Nan Francis, and Sylvia Weinzapfel. It was decided that there was, indeed, interest in forming a professional women’s network and that each attendee would invite three other women to attend the next luncheon meeting. Over 30 women attended the March 17th, 1981 meeting. 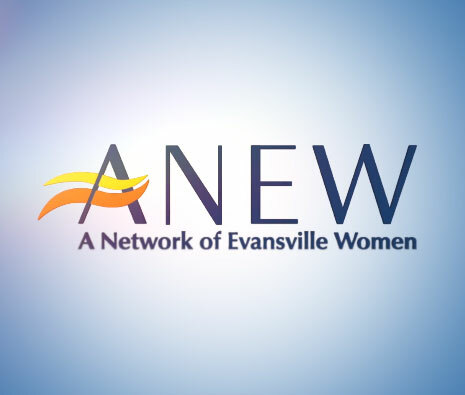 Today, A Network of Evansville Women (ANEW) is a growing independent organization providing a forum of networking, education, and friendship for professional women in the Evansville area. Monthly meetings offer the members a wide range of educational and informative programs. ANEW’s website, membership directory and monthly newsletters facilitate contact among members for professional growth. Current ANEW members are found in leadership roles in business, industry, government and the professions.